The Sierra Negra volcano is the second largest volcanic caldera in the world. 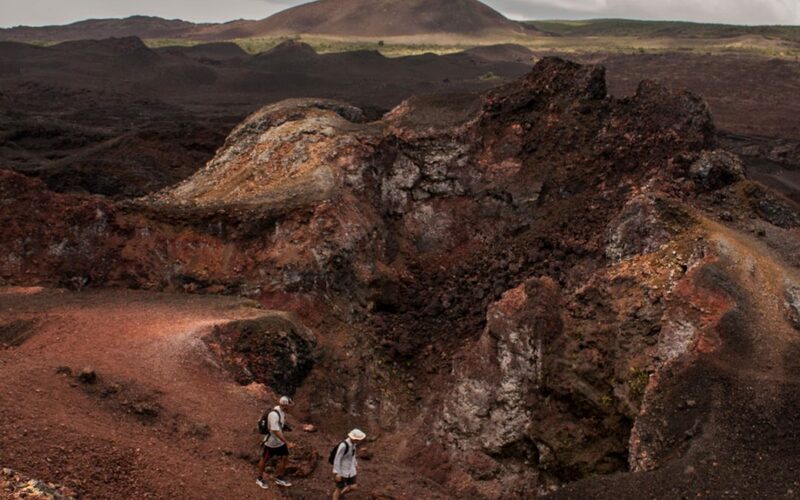 We will have a trek across lava fields and fumaroles, this volcano is one of the most active volcanoes in the Galapagos, (last eruption in 2005.) with fascinating geologic features. Tour duration: 7 – 8 hours.